The adult Superman t-shirt is a quick and easy Halloween costume that is perfect for attending costume parties on the go or if you are looking for a quick change when jumping between Halloween parties. This costume t-shirt can also be used for Jesus in "Godspell". 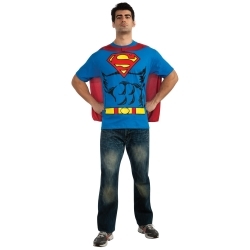 The adult superman t-shirt includes blue t-shirt with the Superman logo, his abs of steal, and a character belt printed on the front as well as a removable Superman cape. 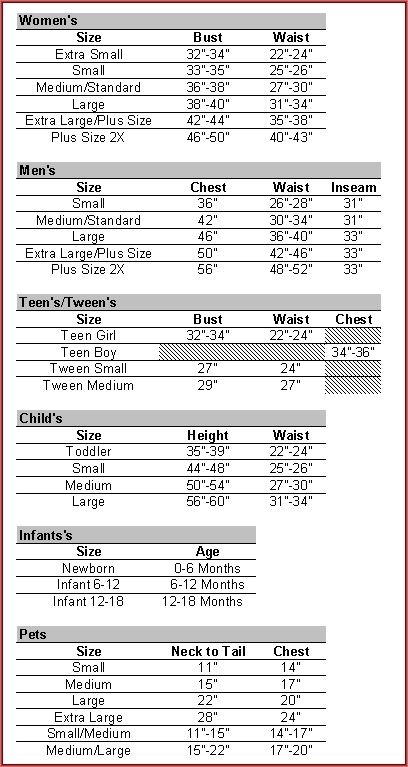 Available in adult size men's medium, large, or extra large.